All the Free jQuery Plugins about 'Bootstrap' are listed here. Bootstrap Fileinput is an Html5 file input enhancement built with jQuery and Boostrap 3 for creating a nice-looking file uploader that allows you to select multiple files with image & file preview. Bootbox is a tiny jQuery plugin for creating alert, confirm and flexible dialog boxes using Twitter's bootstrap framework. 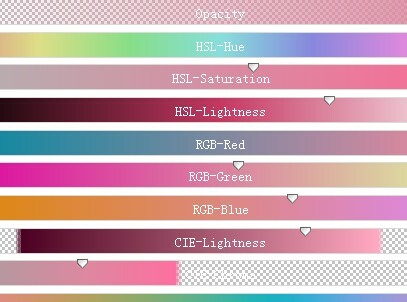 Colorpicker Plugin For Bootstrap 4 and Bootstrap 3 frameworks that allow you to add a color picker to an input field field or to any other element with multiple formats: hex, rgb, rgba, hsl, hsla. 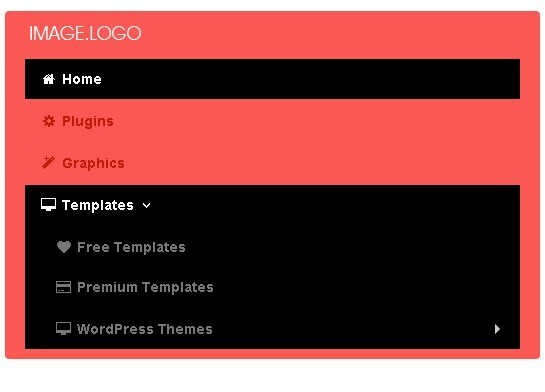 metisMenu is a simple jQuery menu plugin for Bootstrap 3 that help you create a collapsible menu with animated accordion effects and auto collapse support. Iconpicker is a jQuery icon picker plugin for Bootstrap 3 that allows you to choose and pick a icon from multiple icon sets in a tooltip-like popup interface. 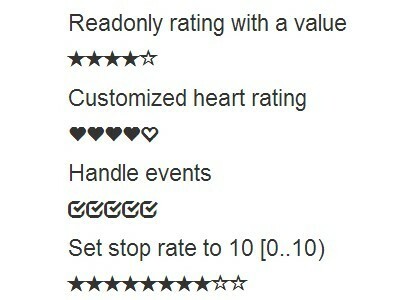 Yet another jQuery star rating plugin that converts a number input to a star rating widget using Bootstrap 3 styles and glyphs. A date range picker for Twitter Bootstrap for creating a dropdown menu to choose date ranges for reports, which would match the existing dropdown and button styles of Bootstrap. Feedback_Me is a plugin for jQuery and jQuery UI that creates a customizable feedback widget on your web page that slides out from the left side of your web page when clicking the tab. TouchSpin is a jQuery plugin for Bootstrap 3 to create a touch-friendly spinner widget that wraps a text input with two buttons to increment and decrement the current value. 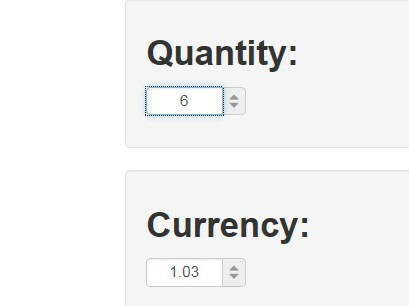 Bootstrap Dual Listbox is a responsive and touch enabled jQuery dual select boxes plugin for Bootstrap that allows you to move items between 2 list boxes. PopConfirm is a simple jQuery plugin to display a popup window via bootstrap 2/3 popover for action confirmation. 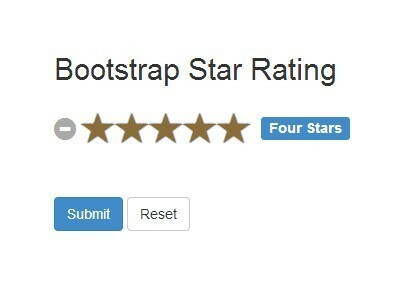 Bootstrap Rating Input is a lightweight jQuery plugin that transform a standard input filed into a simple star rating system with Twitter's Bootstrap 3. 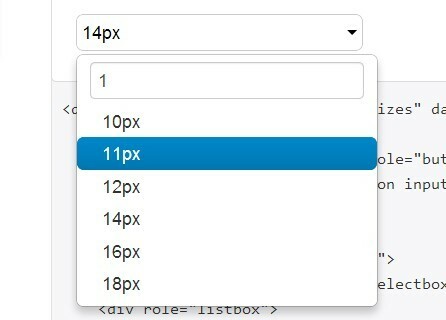 Bootstrap Multiselect is a plugin for jQuery and Bootstrap that allows the visitor to select multiple options from a dropdown select list containing the single options as checkboxes. A small jQuery plugin that turns an input field into a highly customizable rating system styling with Bootstrap 3 and Glyphicons. Awesome Cropper is a jQuery plugin which allows you to select an image from local and crop it to a specific size by mouse dragging in a popup window. 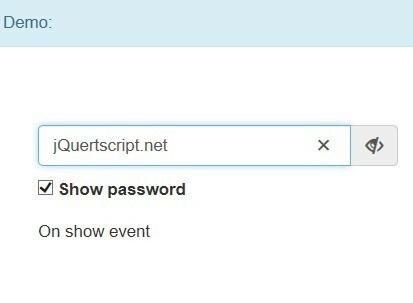 Bootstrap Show Password is a jQuery plugin that allows the visitor to toggle the password input field text visibility by clicking the toggle icon/checkbox. tagmanager is a jQuery plugin works nicely with Twitter Bootstrap that helps you manage tags for each expense users were entering. Bootstrap Maxlength is a beautiful jQuery plugin that displays character counter attached to the input field and limit the maximum length as user input, using Twitter Bootstrap and html5 maxlength attribute. droptabs is a jQuery plugin that extends the Boostrap tabs component to display overflowed tabs in a dropdown list for small screen devices. Bootstrap 3 dialog is a jQuery plugin that enhances the Twitter Bootstrap's modal component to make it more interactive, user-friendly and easy-to-implement. 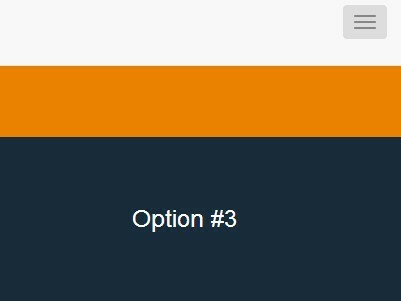 dropdown is a simple jQuery plugin that make it easier to create awesome Bootstrap-style dropdowns (menus, selects, panels, tooltips etc) with additional features and no dependencies. WebUI Popover is a powerful yet easy jQuery plugin used to extend the Bootstrap popover component with following advanced features. Easy Tree is a nice & powerful tree view plugin for jQuery and Bootstrap 3 that allows to select, add, edit or remove items/nodes to build your own tree view structure. 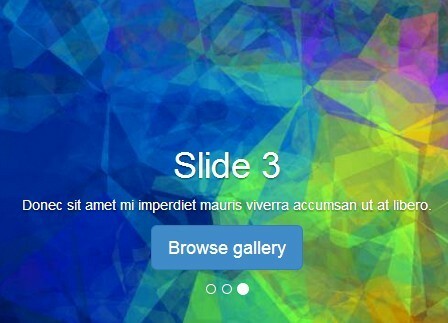 A jQuery plugin used to create a picker widget that allows you to pick stuffs (e.g. 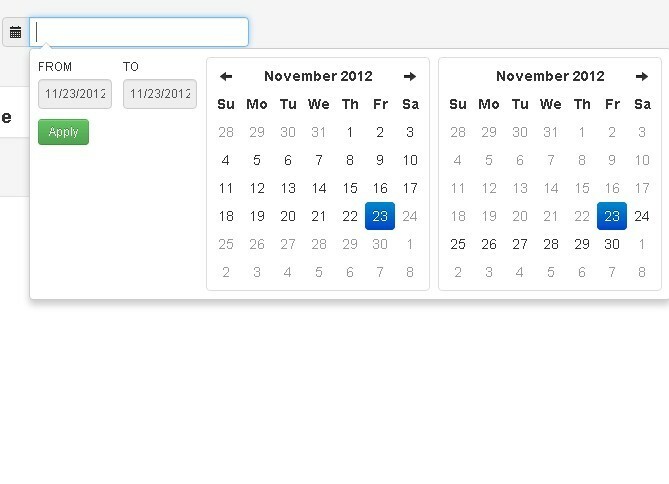 icons, times, dates, list items, etc...) from a Bootstrap popover interface. Bootstrap Tags Input is a jQuery plugin that allows you to add, remove, and categorize tags with Twitter Bootstrap user interface. A very cool jQuery to easily select a time for a text input using your mouse or arrow keys. Pongstagr.am is an awesome jQuery plugin using the Instagram API to display recent, user or liked photo feeds on your web page. Spinner is a jQuery spinner plugin worked with Bootstrap 3 (OPTIONAL) that allows you to create input spinner components using number inputs. 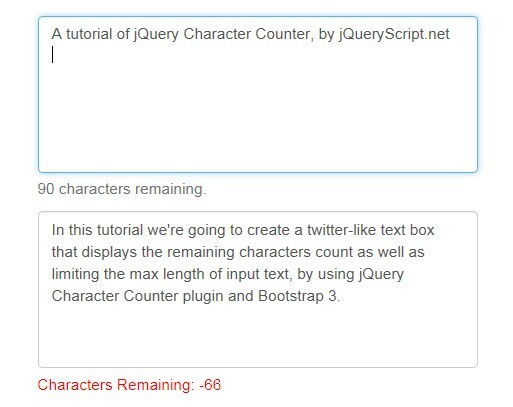 In this tutorial we're going to create a twitter-like text box that displays the remaining characters count as well as limiting the max length of input text. pbTable is a jQuery table manipulation plugin styled with Bootstrap3 that enables the visitor to search, filter, select, and sort an Html table. Yet another jQuery and Bootstrap 3 powered form validation plugin to validate form values your user input with 16+ built-in validators. A jQuery plugin extends the Bootstrap Tabs component to create a Safari-style responsive & scalable tabs interface. jQuery Bootstrap Tokenfield is a pretty jQuery plugin that takes advantage of jQuery and Twitter's Bootstrap to manage tags / tokens in a input field. 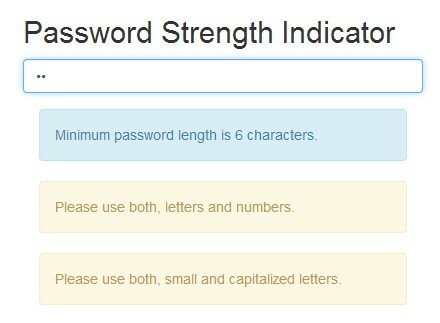 Pwstrength is a jQuery plugin works with Twitter's bootstrap for creating an animated bar attached to the password input filed to display a real-time Password Strength Meter. Bic Calendar is a lightweight jQuery plugin that enables you to create a simple and nice Calendar & Schedule with ajax event support using twitter bootstrap. 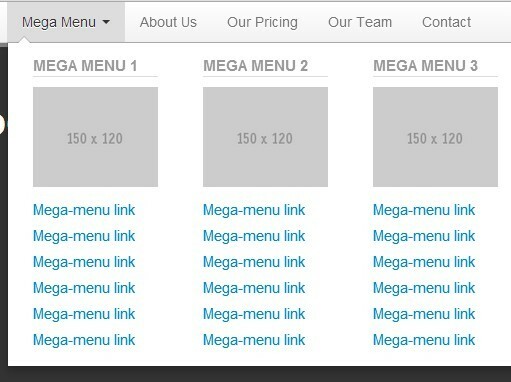 A nice drodown navigation plugin that opens a multi-column mega menu on mouse hover, built on top of Bootstrap 2 and jQuery library. Just another jQuery & Bootstrap based dual list box plugin that is easy to implement and has the ability to load huge data from a JSON file using Ajax. Scroll Nav is a lightweight (~3kb unzipped) and smart jQuery plugin for creating a sticky navigation bar at the top of you web page that will auto hide (reappear) when scrolling down (up) the page. With a little CSS and jQuery magic, we can make a native Bootstrap navbar sticky at the top of the document as you scroll down the page. 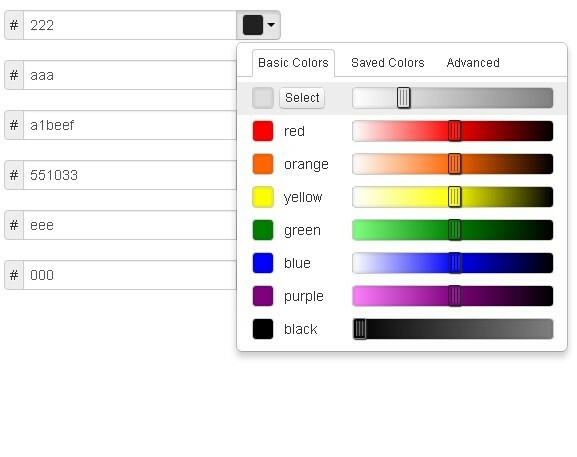 A colorpicker plugin for jQuery and Bootstrap 3 that allows you to select a color from color picker sliders based on jQuery Color Picker Sliders. 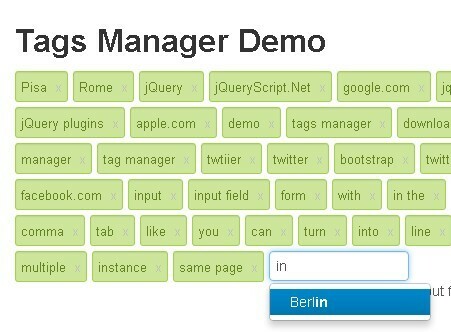 Just another jQuery plugin to turn text into tags/tokens in a input box, easily stylable via jQuery UI or Bootstrap. 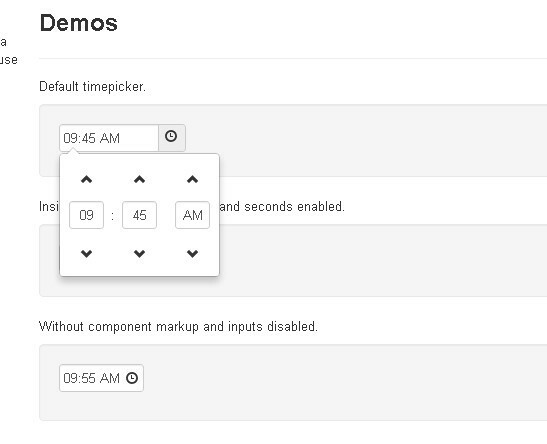 clockpicker is a fancy jQuery & Bootstrap plugin that enables you to pick a time from a popup clock interface. A tiny jQuery plugin that extends the Bootstrap's panel component to make it collapsible and closeable as a widget. A simple and responsive image carousel plugin built with jQuery and Bootstrap 3 that allows you to add custom image annotations using Bootstrap popover widget. 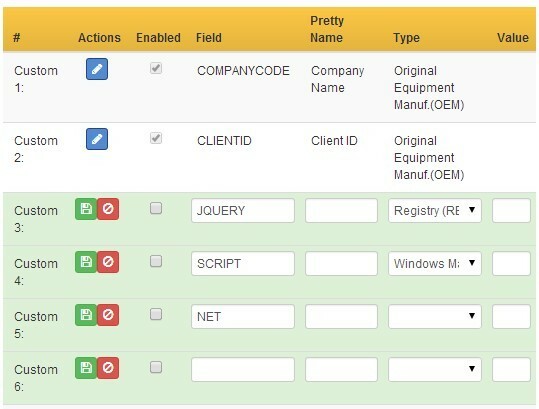 Custom Fields is a jQuery & Bootstrap based data table which allows you to add, edit or delete custom fields with ease. 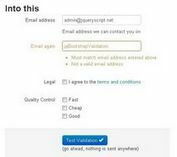 jbootvalidator is a lightweight and simple to use jQuery & Boostrap plugin for validating form fields users input using custom data validation patterns. Bootstrap Lightbox is a simple lightbox plugin based on the bootstrap modal plugin. File Tree is a small jQuery plugin that helps you build a nice clean, sortable and selectable file tree structure from a JSON object. A full-width, horizontally scrollable image carousel plugin with a bottom scrollbar and a direction-aware image caption hover effect. A simple jQuery plugin to creates a nice looking data grid/table from an ajax data source (JSON Data), built upon of jQuery, jQuery UI and Bootstrap3. File Picker is a jQuery plugin for file upload control that allows you to style the default file input with Bootstrap, jQuery UI or custom CSS styles. MultiNestedLists is a jQuery plugin to create an animated & nice looking tree view structure using Bootstrap and nested Html lists. Pick-a-Color is a cool and easy-to-use jQuery plugin that helps you create beautiful and powerful color picker using Twitter's bootstrap framework. fullscreen.js is a jQuery plugin to display your photo gallery/slideshow in a fullscreen lightbox using Html5 fullscreen API supported in major browsers. 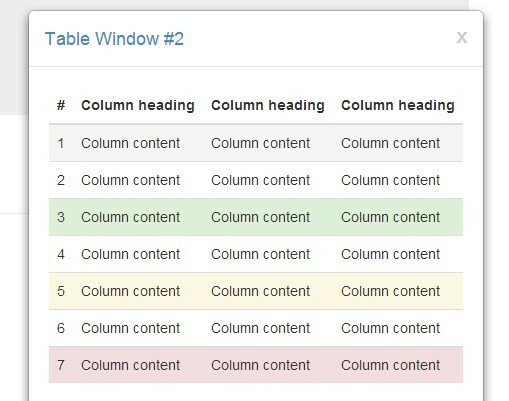 Editable Table is a table manipulation plugin that turns a standard Html table into a responsive in-place editable spreadsheet with input validation based on jQuery and bootstrap 2/3. Moodular is a responsive carousel / slider plugin built on top of jQuery and Boostrap 3 that comes with 2 modules (controls & effects) in order to create your own styles. Radios For Buttons is a jQuery alternative to the standard Html radio button that converts radio buttons into a series of buttons styling with Bootstrap 2/3. Simple Photo Gallery is a lightweight jQuery & Bootstrap plugin for displaying a photo gallery in a responsive & fullscreen lightbox with arrows navigation support. searchWeather is a jQuery plugin for creating a weather forecast web app that allows to search and display the weather conditions of multiple cities/countries in the world. Yet another jQuery plugin to generate a table of content from headings in the document for long content page. SuperCal is a jQuery and Boostrap based plugin for creating a calendar widget with transition effects when the month changed. Input Notes is a jQuery form plugin used to add real-time notes attached to textareas and input fields based on regex patterns. 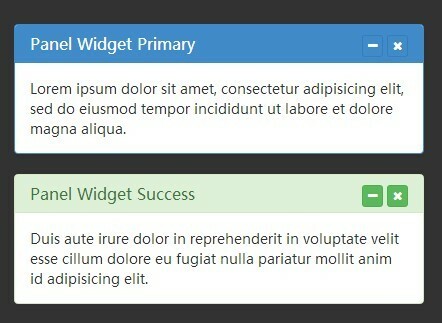 Tips is a simple and easy to skin jQuery tooltip plugin that extracts tooltip text from 'title' or 'data-tip' attribute. Bootstrap Window is a powerful jQuery plugin that takes advantage of Twitter's bootstrap to create responsive & bootstrap-style window and modal system for your website & web app. Bootstrap Form Helpers is a small collection of 10+ jQuery plugins for creating beautiful, robust and efficient forms with Twitter's Bootstrap framework. progressTimer is an easy-to-use jQuery plugin which makes use of Bootstrap 3 progress bar component to create an animated progress timer with CSS3 transitions and striped effects. Tag Handler is an easy yet powerful jQuery tags manager plugin that converts an Html list into a tags input field that allows to add/remove tags via Enter or comma. easyPaginate is a simple and fast jQuery plugin for creating a clean and user-friendly one page pagination with Twitter's bootstrap support. inputfile.js is a jQuery plugin for file upload that replaces the standard file input with a file select button and gives you the ability to remove your selection easily. 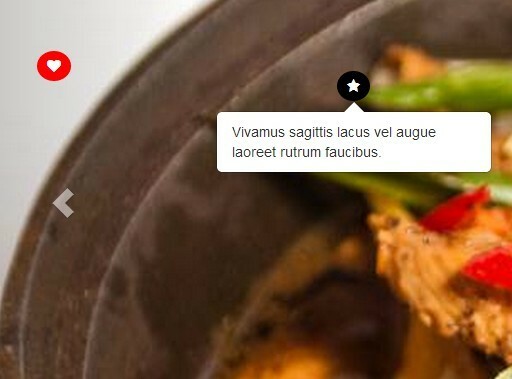 Dynapagin is a jQuery plugin that provides a simple method to create a flexible Client Side Pagination for your long content without any server-side code. 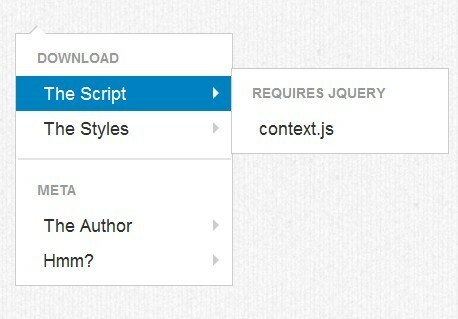 ContextJS is a lightweitht jQuery plugin that makes it easy to create multi-level right mouse-click (context) menu with event based links support. simple Pagination is a simple jQuery plugin for creating stylish on-page pagination for long items on your page. Peek is a lightweight (~2kb) and responsive jQuery plugin for creating an auto-hiding top navigation menu on your website, similar to the jQuery Scroll Nav Plugin. 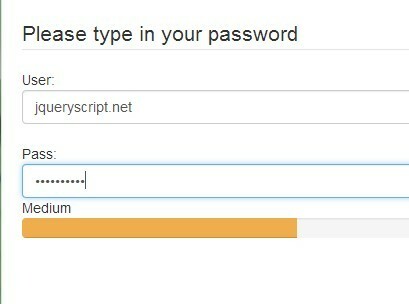 Pass Field is a powerful jQuery plugin that enhances and beautifies your password field with bootstrap and CSS. filterable is a beautiful and powerful jQuery plugin that allows you to create per-column filters for an HTML table, based on Bootstrap and jQuery X-editable plugin. Bootstrap Select Toggleizer is a tiny jQuery plugin that turns the default select list into Bootstrap button group toggles. Dropdown on Hover is a lightweight and easy-to-use jQuery plugin that Integrates with Twitter's Bootstrap to create stunning and user-friendly drop down menus on hover. BootM is a pure-CSS menu system for creating responsive and cross-browser multi-level navigation menus with CSS3 transitions. Menu Aim is a jQuery plugin inspired by Amazon's Shop by Department dropdown menu that can differentiate between a user trying hover over a dropdown item vs trying to navigate into a submenu's contents. ETFormValidation is a simple and fast jQuery plugin that helps you to add a real time info validator to your form when users input. 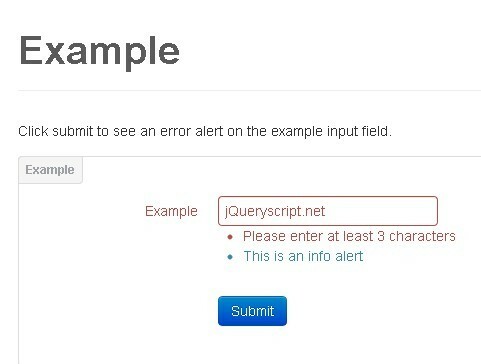 formalerts is an event based form validation plugin that displays bootstrap form alerts attached to the input field when your user clicks the submit button. 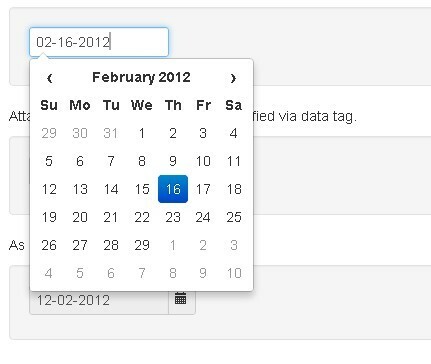 A simple jQuery Plugin built with bootstrap-datepicker.js for adding datep picker to field or to any other element. Video UI is a bootstrap UI based jquery plugin for creating Customizable HTML5 video player on your web page. 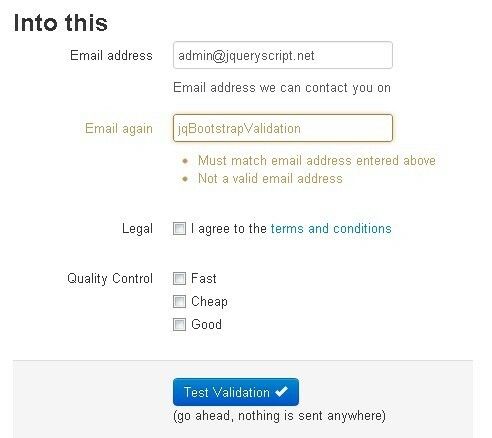 jqBootstrapValidation is a jQuery plugin that make it easy to create a validation framework for bootstrap forms. 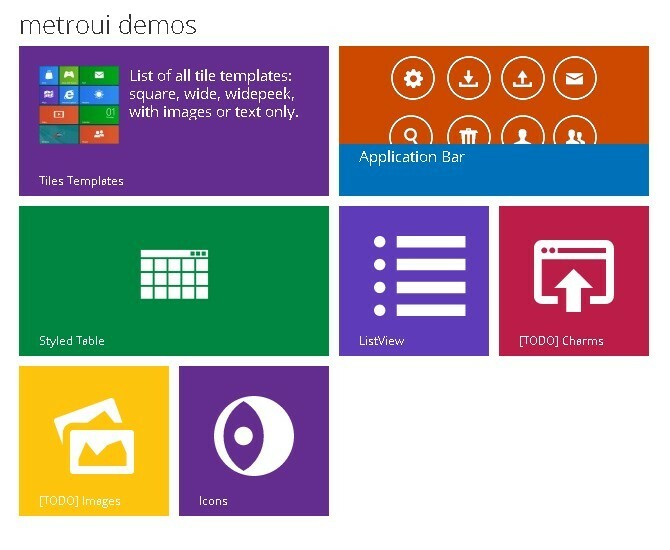 BootMetro is a Metro Style Web Framework for creating website like windows 8 Metro UI Style. With build-in jQuery plugin, it supports the Metro features.